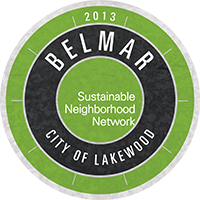 Welcome to Belmar's Sustainable Neighborhood website! We're a small group passionate about living sustainable lives and would love for you to learn more and join our cause! This site is a work in progress, so be sure to check back often for more updates. A new Electric Vehicle charging station is now available in the Whole Foods garage located at 444 S Wadsworth Blvd, Lakewood, CO!